ANCHORAGE — Monica Bradbury stood bundled in her coat in the hall of the elementary school where she was dropping off her daughters, ages 7 and 10. 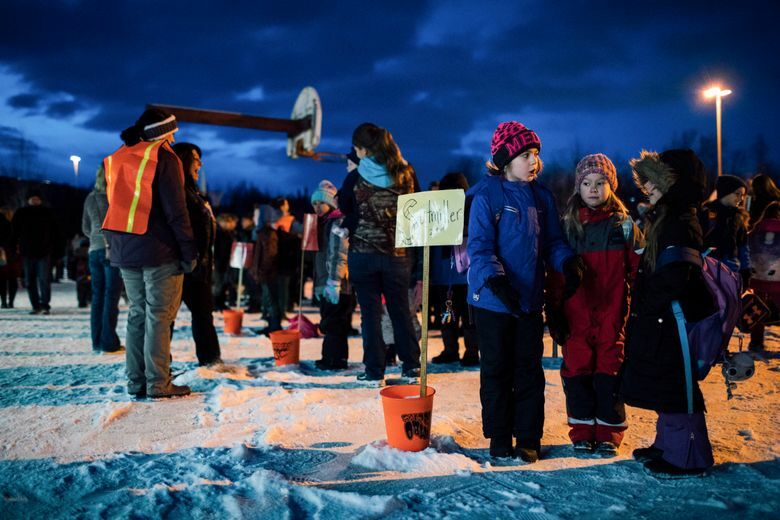 It was close to 9 a.m. Monday, still coal-dark in the nation’s far north, and this was the first morning back to school after the biggest earthquake to hit Alaska’s biggest city in decades. But she could not quite bring herself to leave. Thousands of aftershock tremors — many imperceptible, others large enough to shake people from their church pews — have rattled lives in the days since a 7.0-magnitude earthquake struck Nov. 30. This week was a tense juncture for parents, teachers and the roughly 48,000 public students returning to the schools that many of them had fled in panic when the huge quake struck at 8:29 a.m. local time that day. All 92 of the school system’s buildings sustained some damage. With at least two schools still unfit for use, more than 1,000 students were resuming classes in a different school than the one they attended two weeks ago. Libraries have been consolidated. And counselors from as far away as Portland, Oregon, have arrived to work with anxious children and teachers. Deena Bishop, the superintendent of the district, handed out gift pencils to the younger students on their first day back and said that the schools would focus for now on a simple goal: healing. As classes began, some teachers dived right in, forming chat circles on the rug and encouraging students to share their stories of the earthquake. Other teachers went slower. Matthew Bennice, a special-education teacher, had been videotaping a presentation to his class when the quake struck. The video captured images of equipment, cabinets and tables jumping, and bits of ceiling fluttering to the floor. The video got tens of thousands of views on YouTube, but Bennice did not show it to his seventh- and eighth-grade students on their first day back. “I didn’t want to dig it all back up,” he said. Remarkably, no fatalities or serious injuries have been attributed to the earthquake, in part because Alaska’s strict building codes are predicated on life in one of the most active seismic zones on the planet, in a northern corner of the Pacific Rim. But the quake brought a new layer of stress for students in a school system that has already wrestled with tumult. 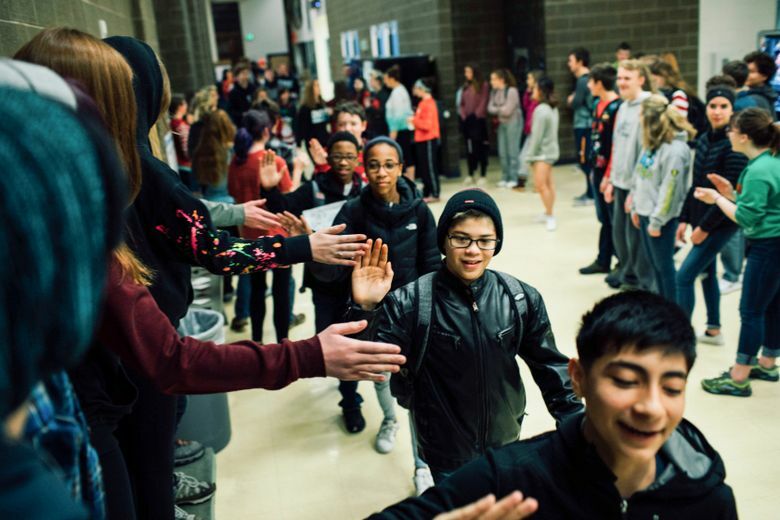 Anchorage, which has some of the most ethnically diverse public schools in the nation, has seen state support for education erode for years. Notably, support for capital improvement projects has fallen away, as Alaska’s economy has struggled with falling oil production and declining revenue from taxes that oil companies pay to drill in places like the Prudhoe Bay, in the state’s far north. 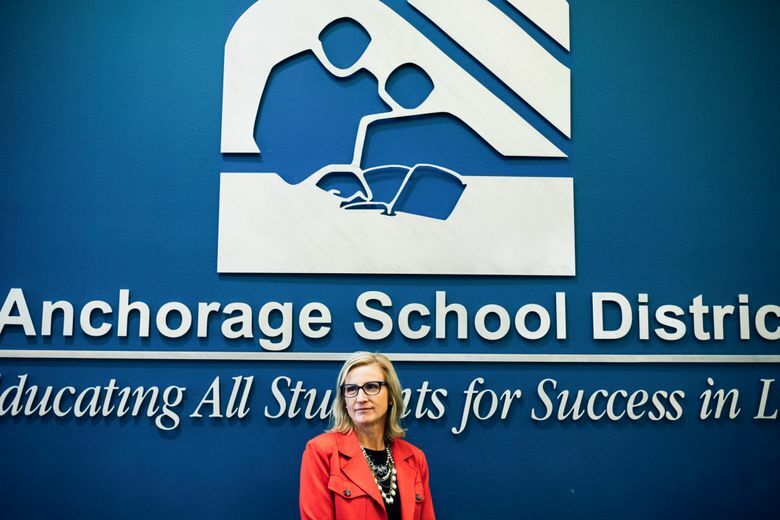 The schools have also seen reverberations from the opioid crisis, which has brought families wrestling with drug and alcohol problems from outlying areas into the largest urban center, Anchorage. The schools have seen a drop in enrollment, too, as families have left Alaska, seeking economic opportunities. In each of the past two years, about 500 students have left, leading to funding cuts for schools under per-pupil formulas. A labor dispute with the teachers’ union has dragged on for months. And the prospect of new state funds seemed increasingly tenuous after the election last month of Mike J. Dunleavy, a Republican who has pledged to slash state spending, as governor. “Everybody is incredibly uncertain right now about what is going to happen,” said Diane Hirshberg, a professor of education policy at the University of Alaska. For the moment, the earthquake seems to have overtaken the schools’ other problems. “Everybody has got the singular focus of getting schools back up and running,” said Tom Klaameyer, the president of the Anchorage Education Association, the teachers’ union. Don Bee, a substitute teacher, said he came to school on the first day back just to be a steady presence. “What they’ve asked me to do is go around and see if teachers need a hand with anything and if someone needs reassurance,” Bee said, as he sat by the front door of an elementary school Monday morning. Bee, who retired from the Alaska Department of Fish and Game, said he was walking his grandson, Tristan Travers, 6, to school when the earthquake hit. They both went down on all fours, unable to stand as the ground heaved. Tristan was brave, his grandfather said, at least until his mother arrived to get him. Then the tears came. Dawn Wilcox, who teaches second grade, said the quake and its many aftershocks were an essential topic for a conversation on the first day back — about science and personal memory. Wilcox, who grew up in Anchorage, survived a 9.2-magnitude earthquake that shattered southern Alaska in 1964, when she was in third grade. It has been described as the second-biggest earthquake in modern world history. Before the reopening of schools, officials had raced to be sure that the buildings were not only structurally sound, but also secure in other ways. Emergency radios had to be checked for damage and battery power. Video cameras were recalibrated and realigned.